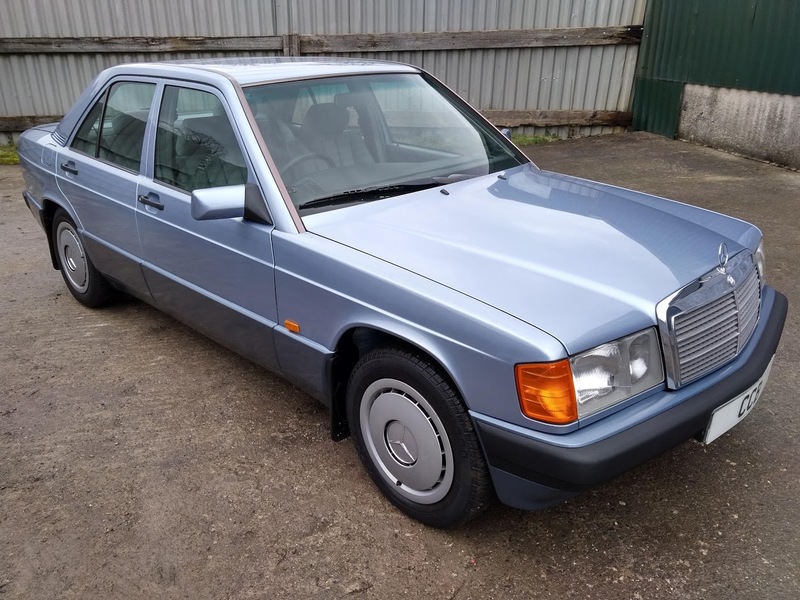 Pearl Blue metallic, Grey cloth interior, Zebrano wood centre console, 5 speed manual gearbox, 4 x electric windows, electric tilt/slide sunroof, front and rear headrests, rear armrest, original steel wheels with hubcaps, original Blaupunkt radio/cassette player, central locking, all original tools and manuals, two owners, only 30,000 miles. 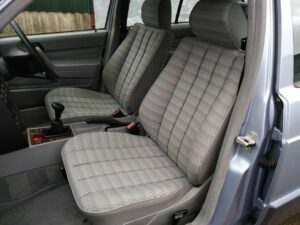 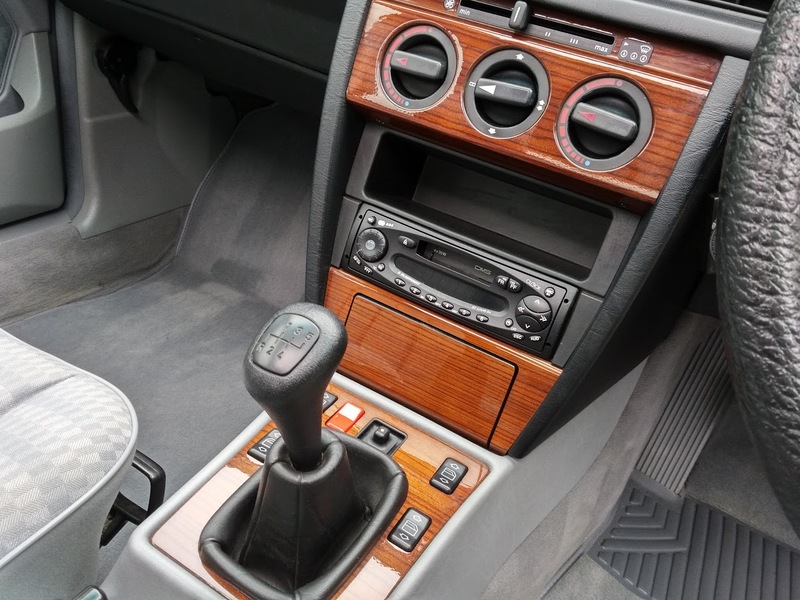 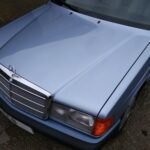 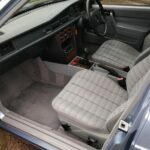 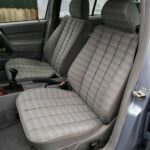 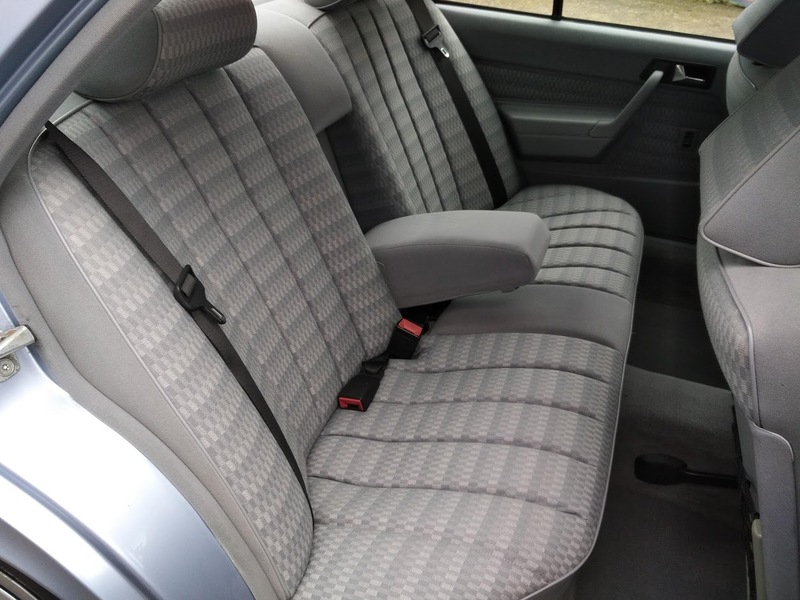 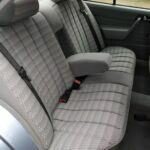 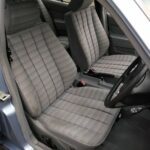 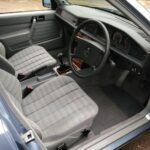 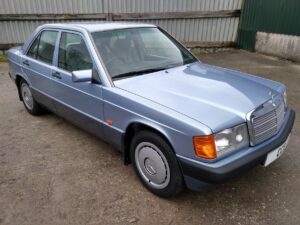 The 190E model is such a handy and easy car to live with that as they have got older most have been abused and neglected at the hands of a succession of uncaring owners, and it is very rare to find one in good condition. 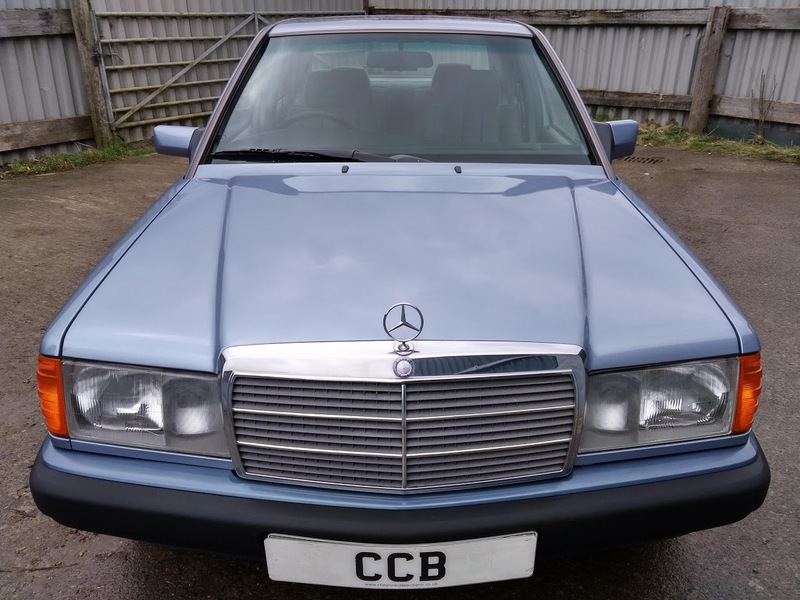 This one has escaped that fate and has been very sparingly used by only two very careful owners. 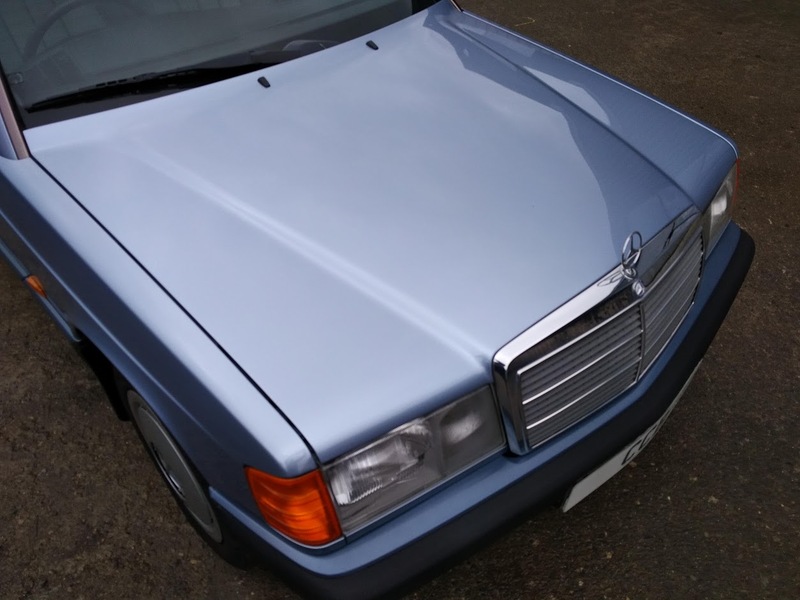 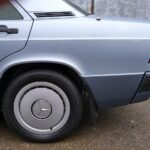 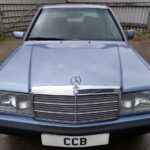 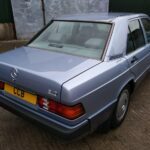 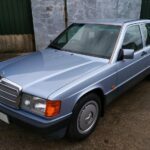 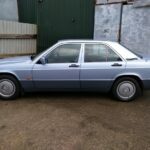 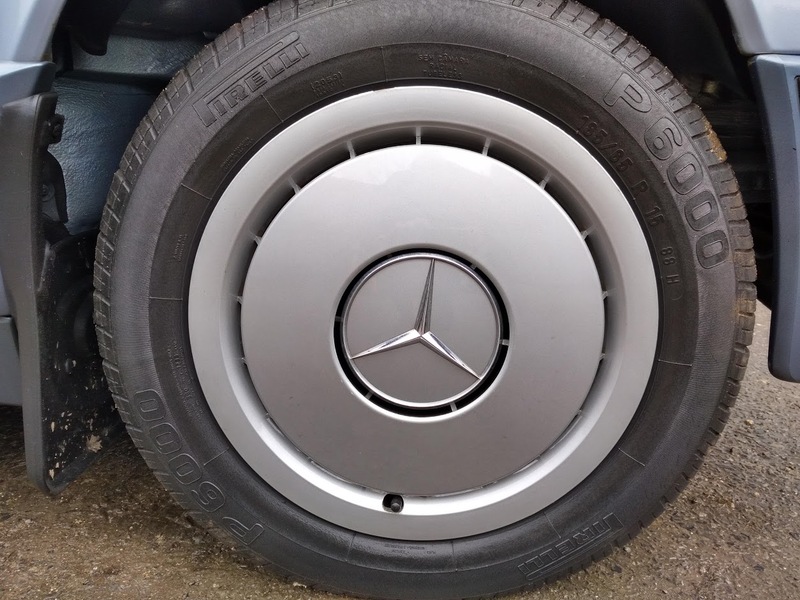 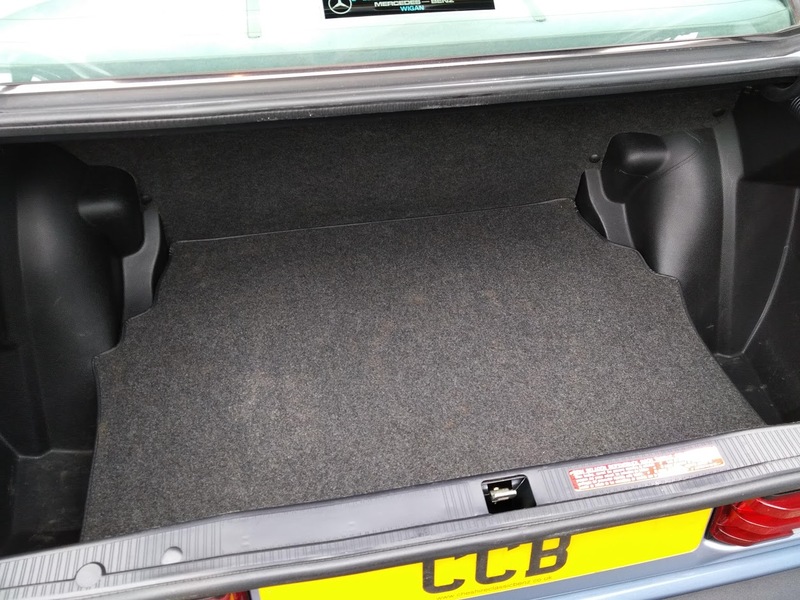 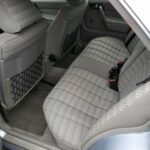 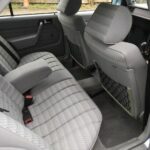 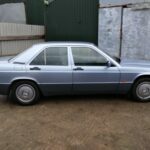 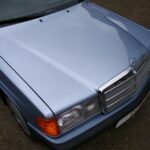 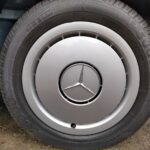 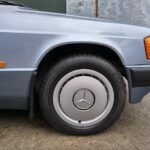 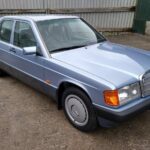 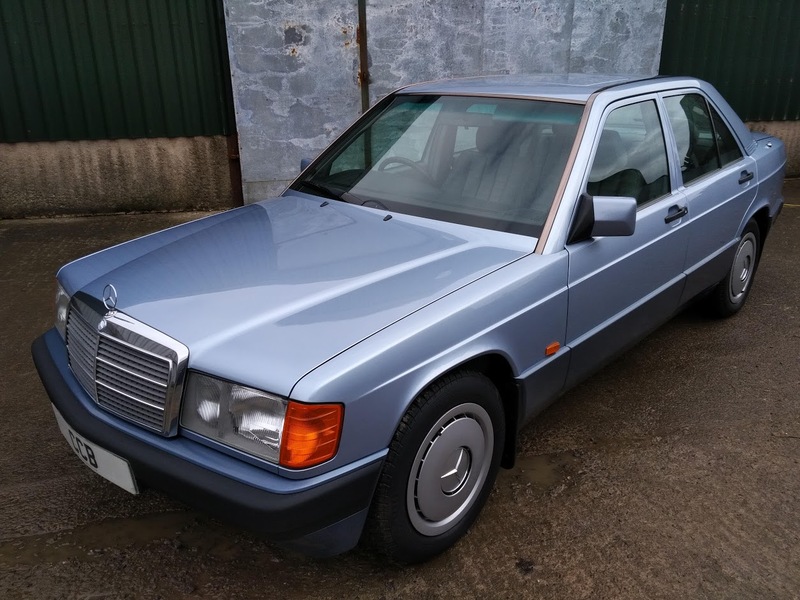 It was supplied new by H L Gorner Mercedes-Benz of Wigan in March 1991 to a local retired gentleman who had always promised himself a new Mercedes. 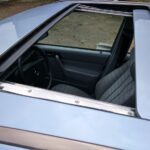 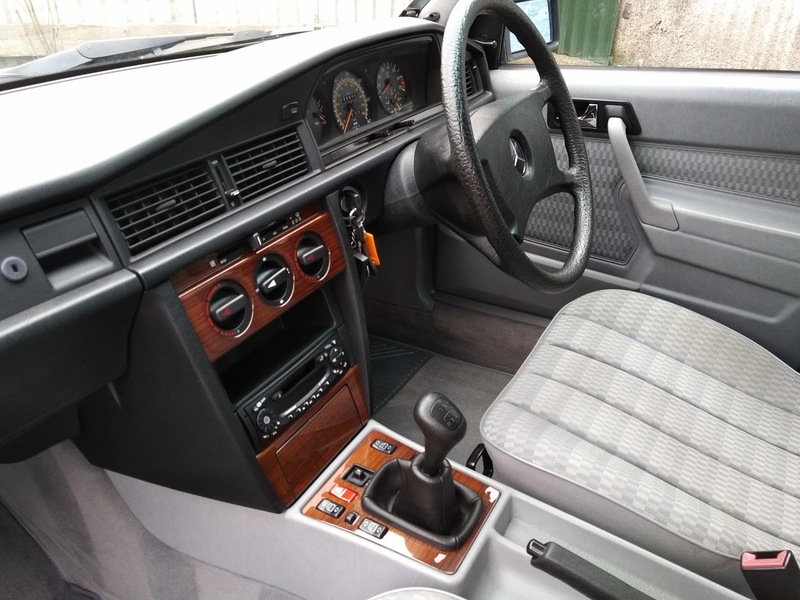 His intention was that it would “see him out”, and the plan worked perfectly, in that it lasted him until he gave up driving in his mid eighties. 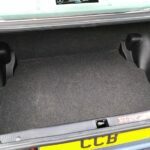 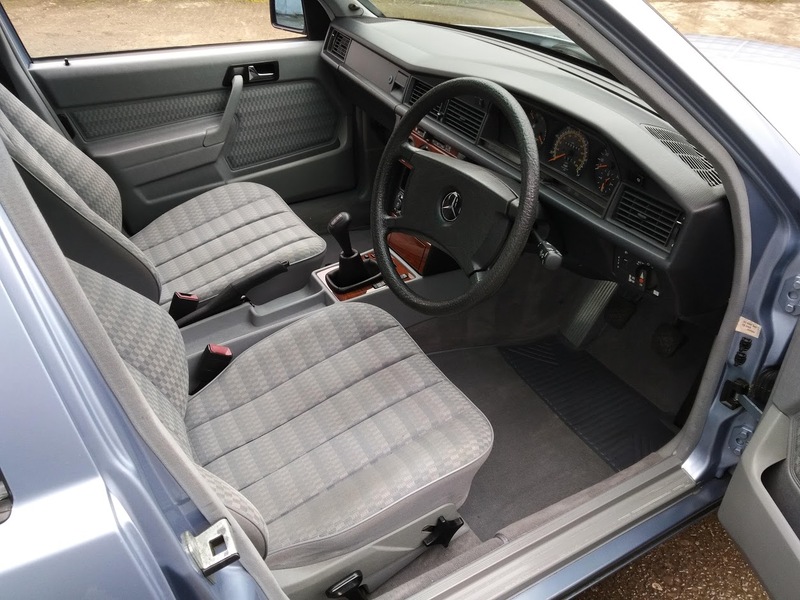 He kept the car for 23 years until 2014, covering a mere 29,000 miles of thoroughly enjoyable motoring in that time. 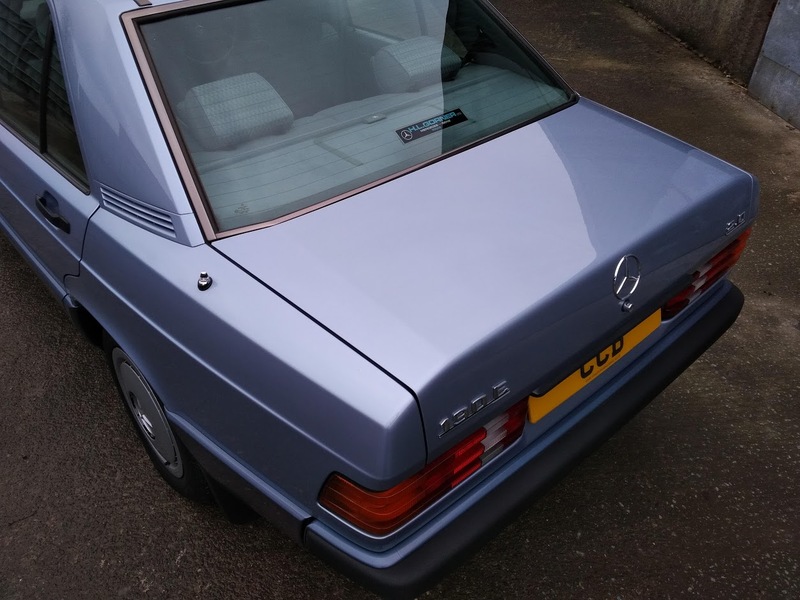 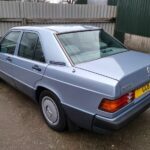 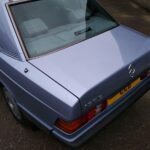 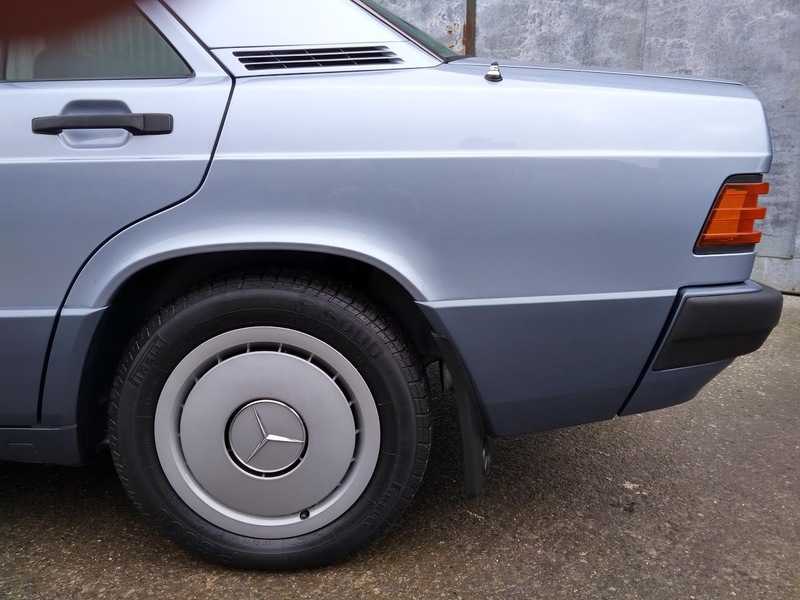 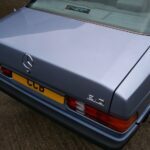 It was then purchased by a friend of his son, who is a Mercedes fanatic and who bought it simply because he could not resist its captivating charms. 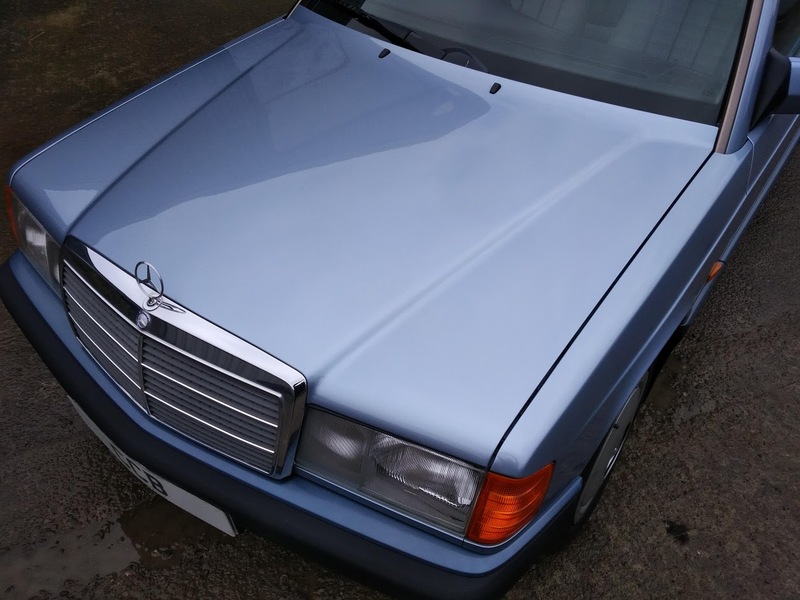 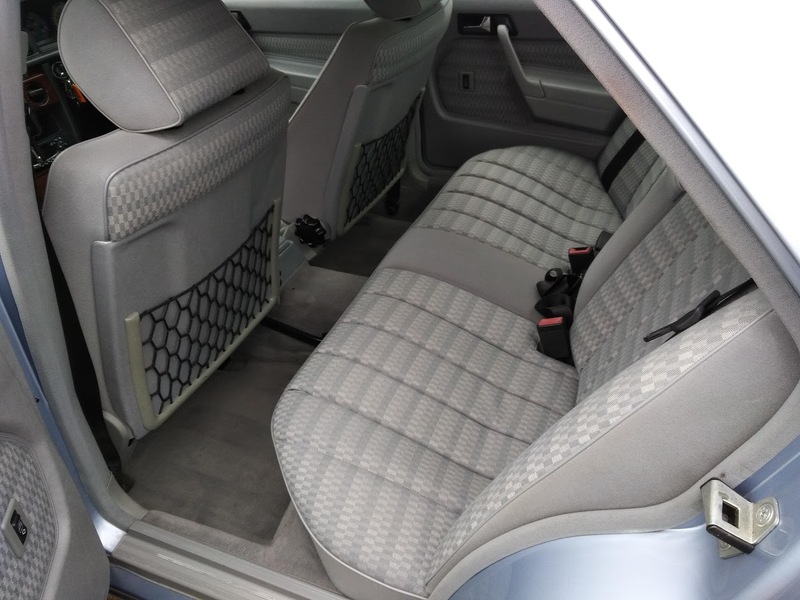 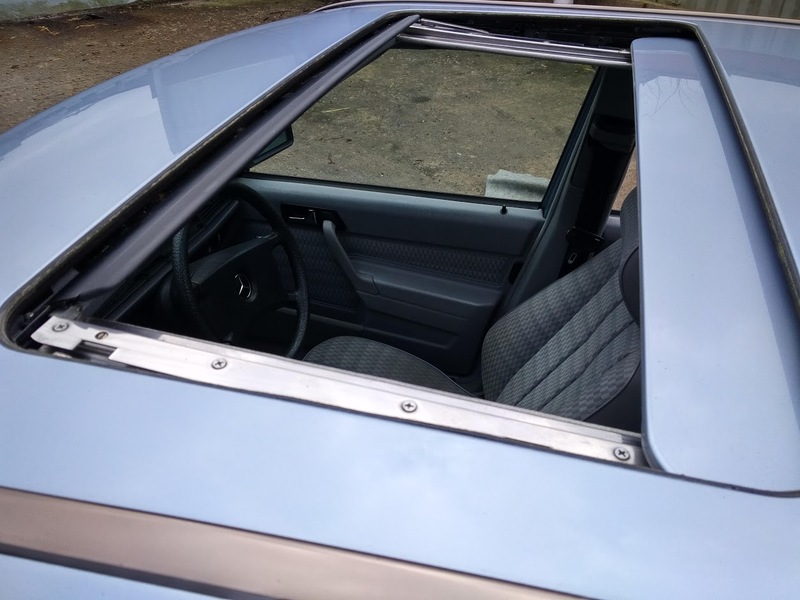 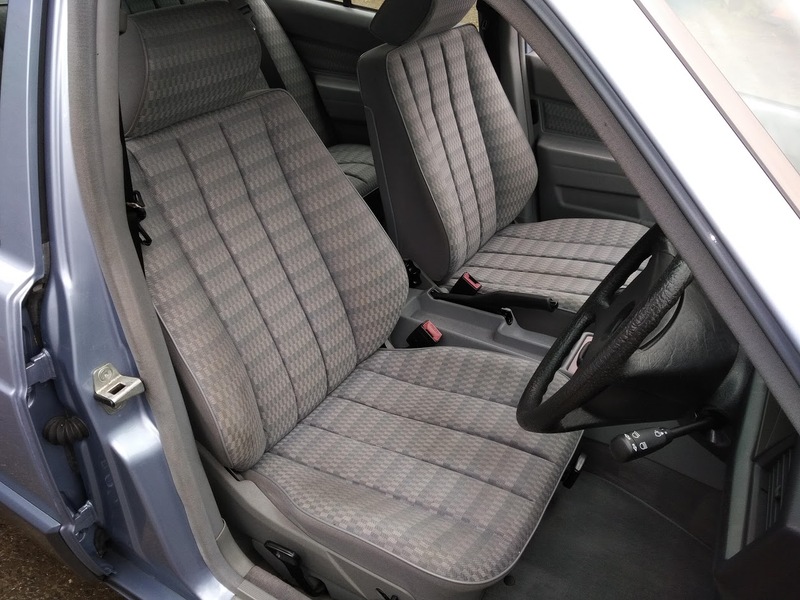 He has owned it for four years and has covered less than 1,000 miles in that time, in fact he has spent much more time polishing it than driving it. 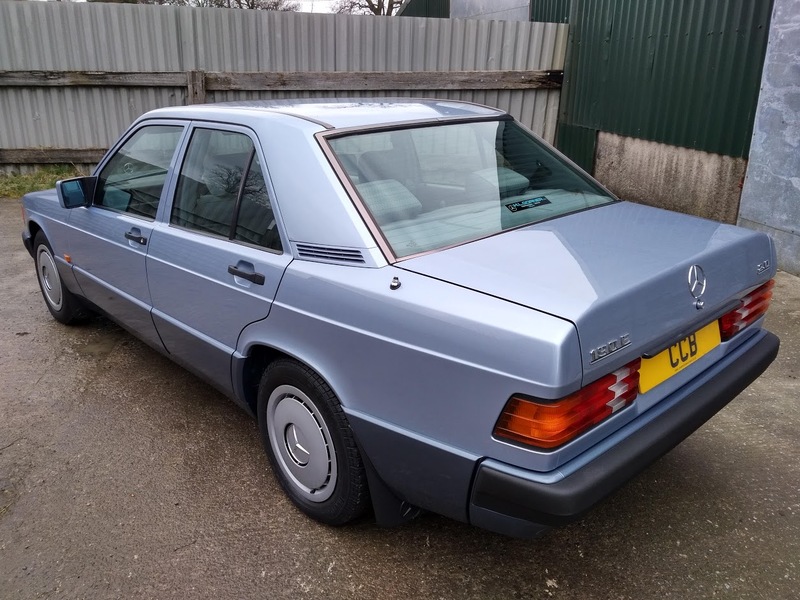 It has been garaged and pampered for its entire life, and its close to perfect condition throughout is a credit to both its owners. 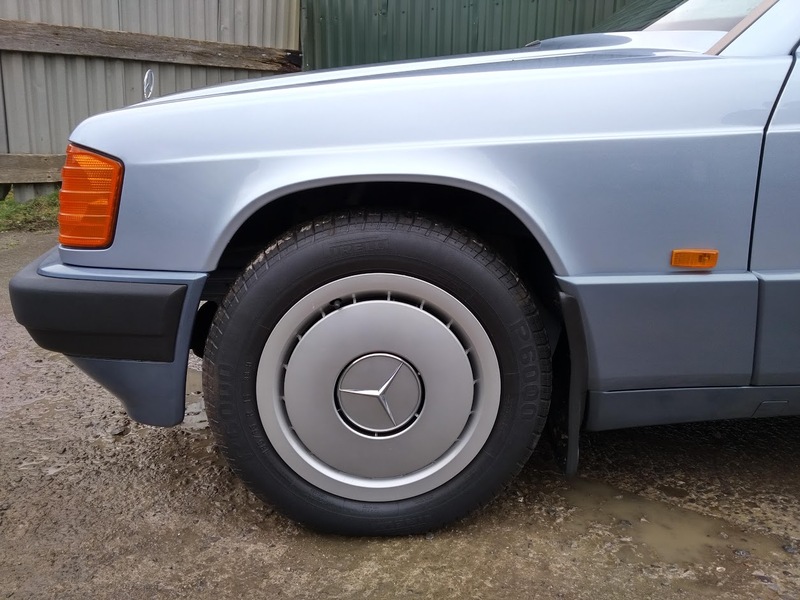 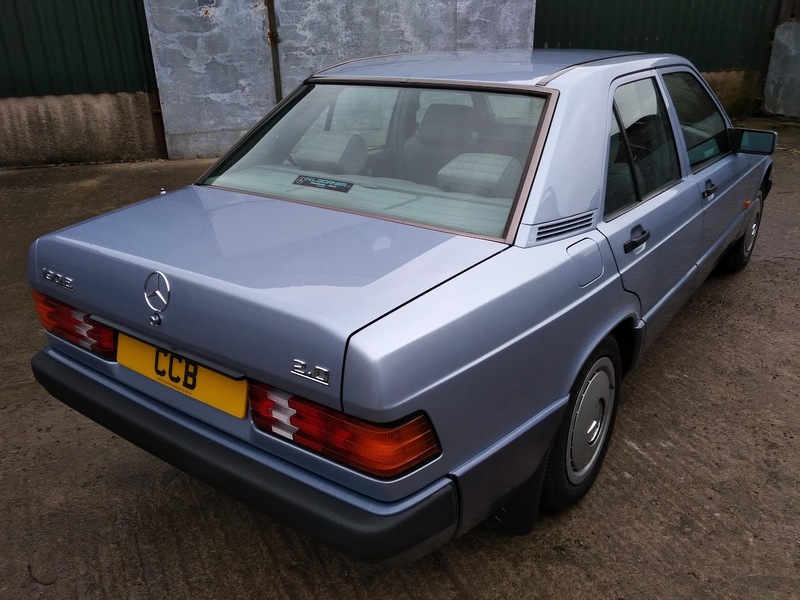 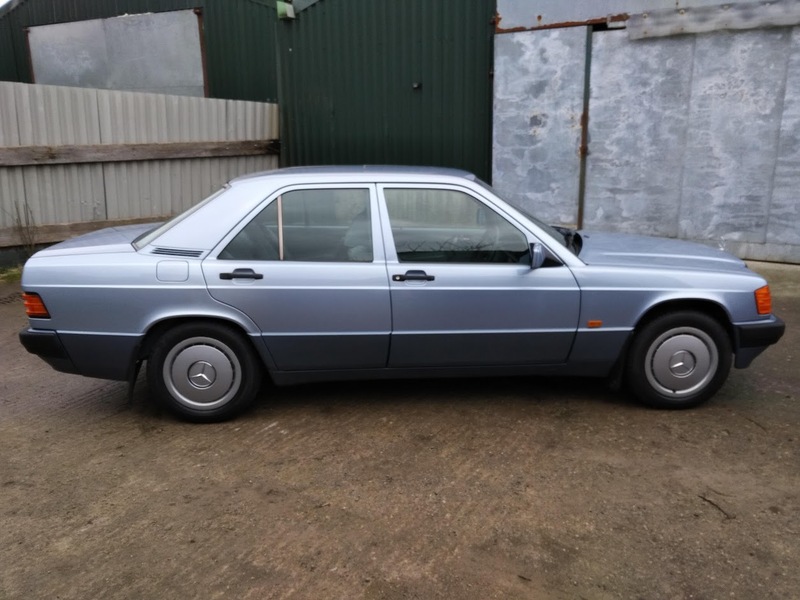 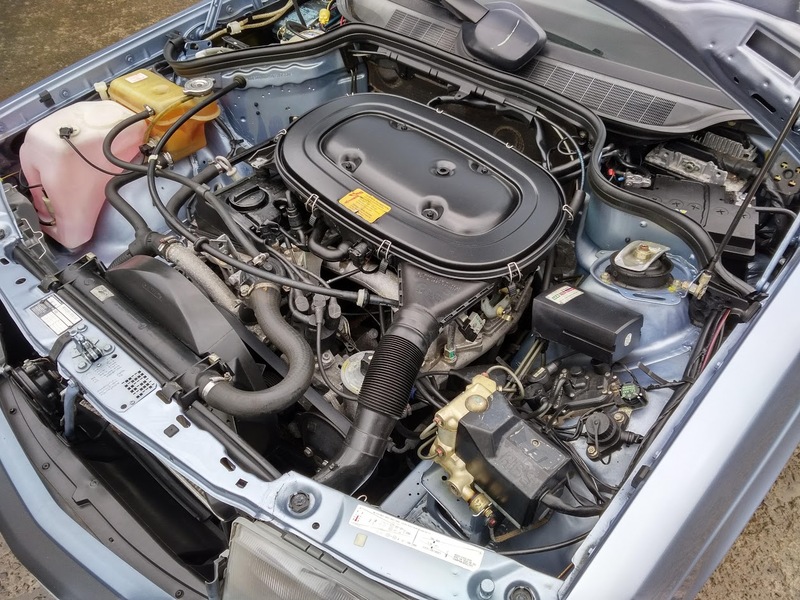 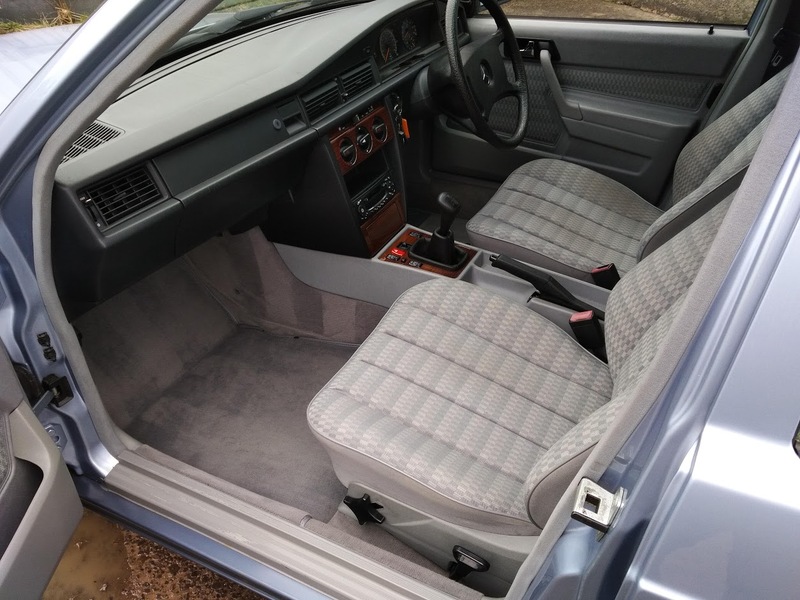 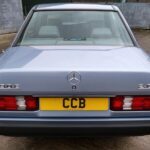 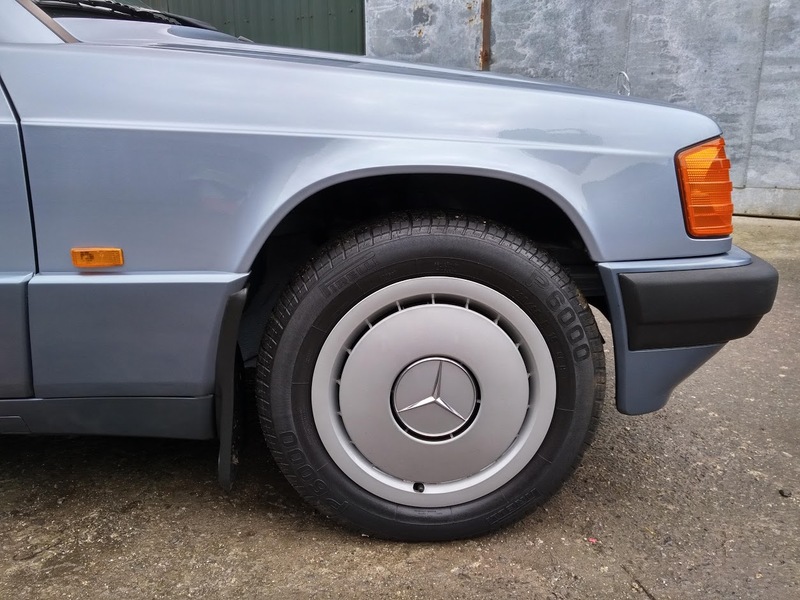 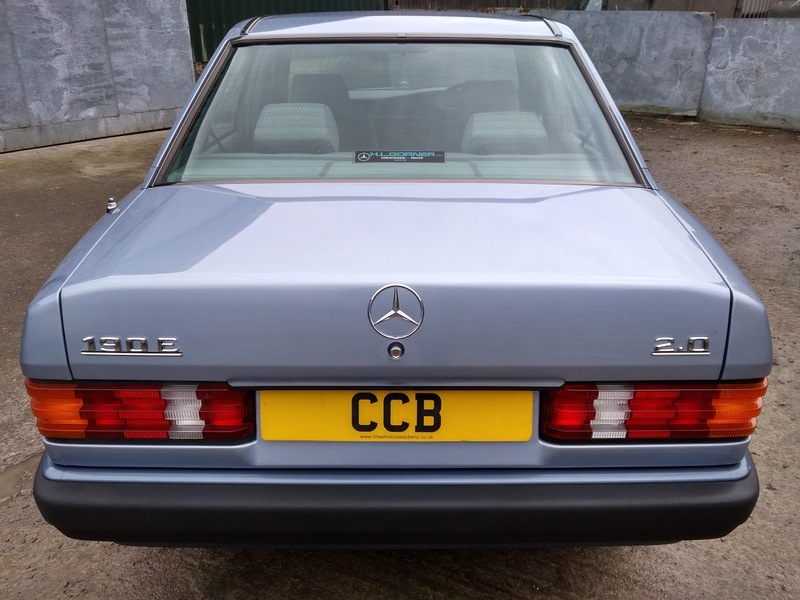 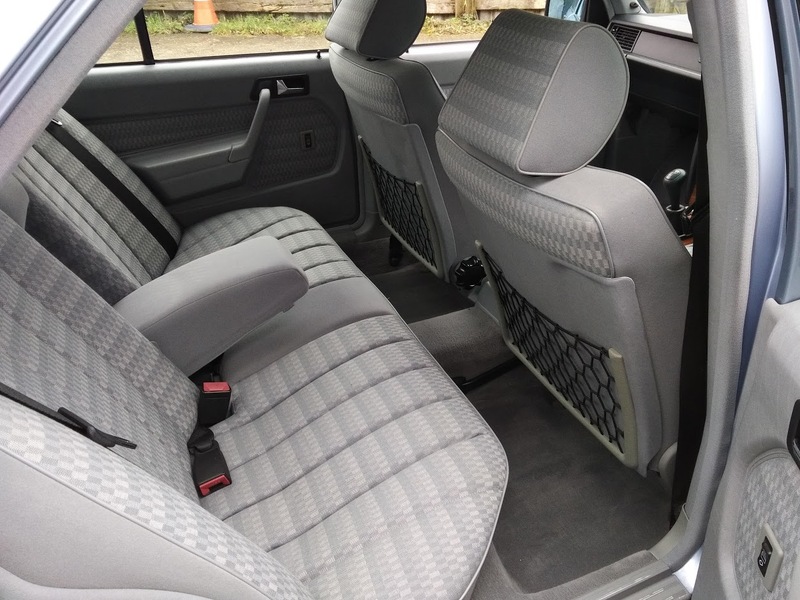 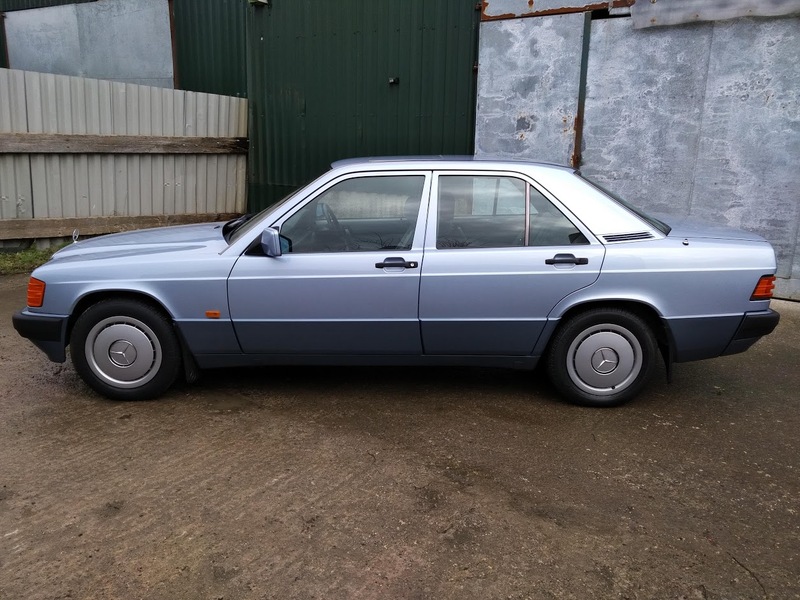 Shortly after the second owner acquired the car he took it to the Mercedes-Benz Club National Concours Event at Milton Keynes, where it was awarded 96 points out of 100 and came second in the saloons over 20 years old class, out of 11 contenders. 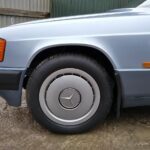 The file contains the prize rosette and the copy of the club Gazette which announced the results. 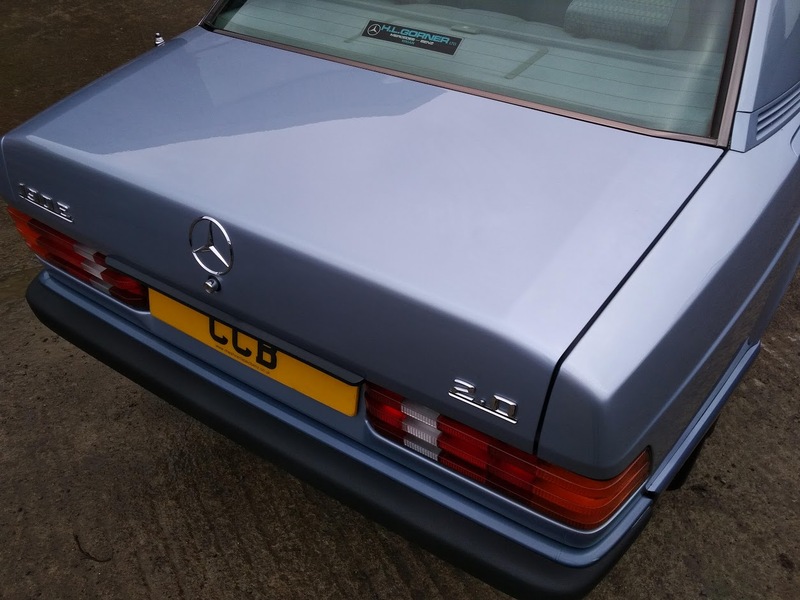 Early servicing was carried out by the supplying dealer, with three of their stamps in the book. After this there is a stamp from a trusted local garage at 26,000 miles in 2007. 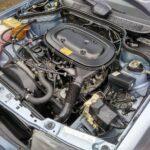 For the remaining seven years and 3,000 miles of the first owner’s tenure he had the oil and filter changed periodically but this has not been recorded. 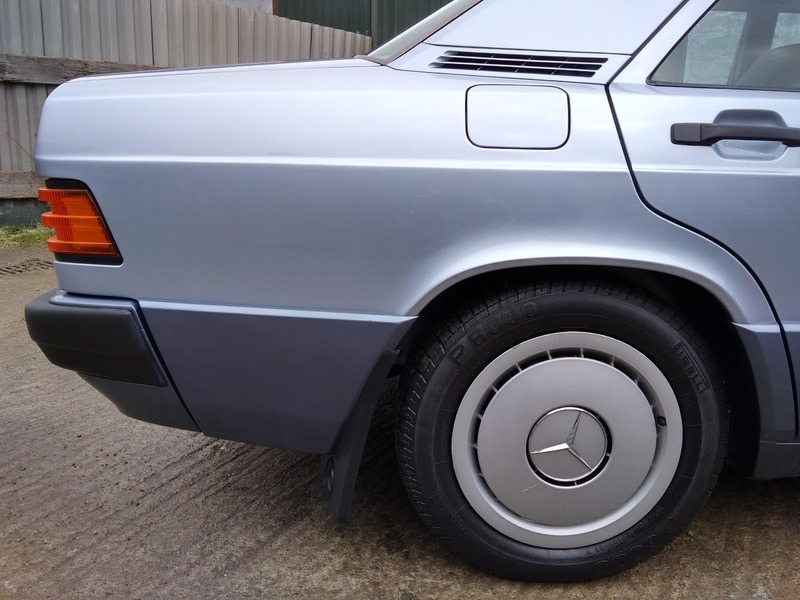 We will be carrying out a full service prior to delivery, so it will be ready for a further 6,000 miles before any scheduled attention is due. 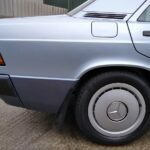 As well as the above we also have all MOT certificates since 2006.